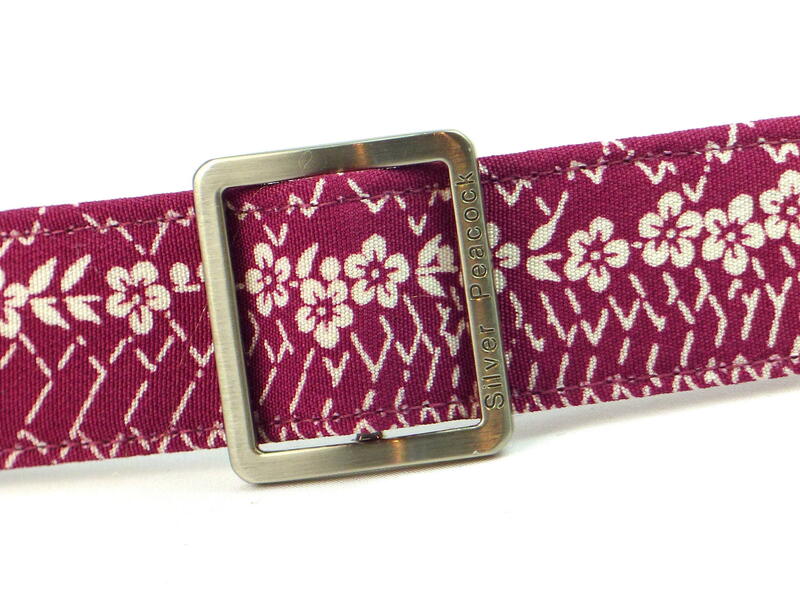 This delightful kimono fabric should have been made into a day-time kimono, but instead it found itself with us, ready to grace some very lucky hound's necks!! 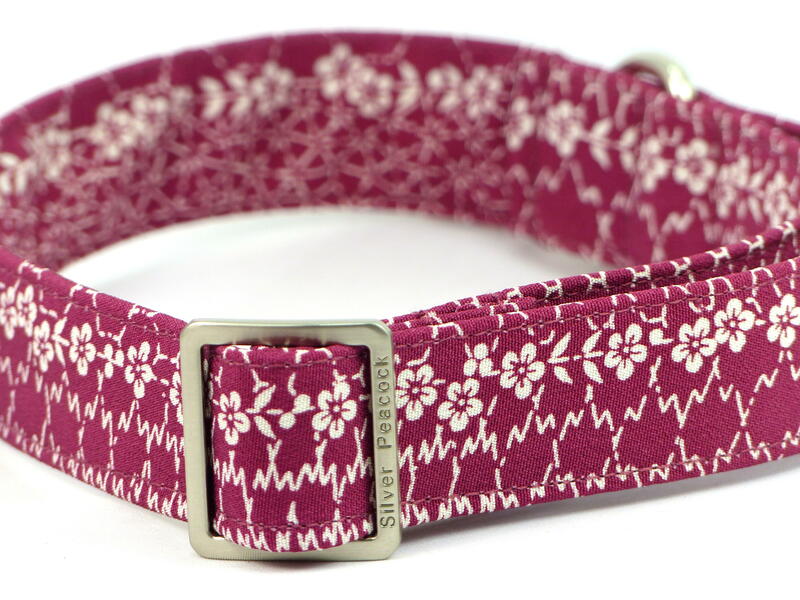 It's a lovely shade of muted burgundy pink with a linear design of flowers and geometric patterns in white. 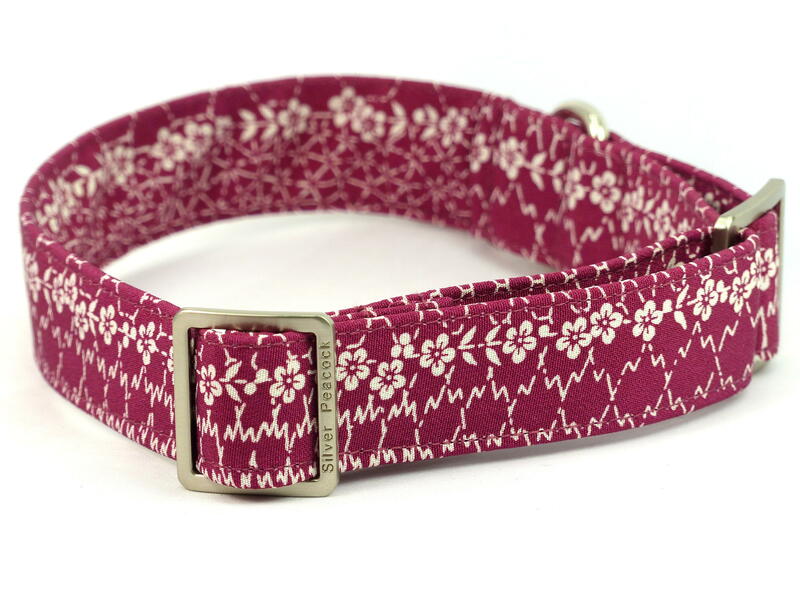 Each collar will be unique as the pattern on the fabric varies depending on how and where it is cut. 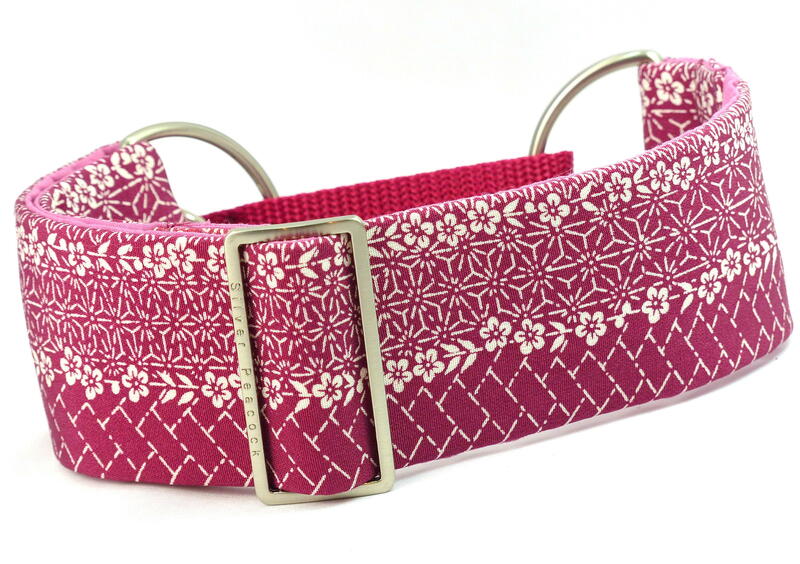 The collar is lined in complementary dusky pink fabric and is finished with our signature robust silver coloured hardware.